Koch release date was Friday, February 1, 2013. This was a New York release. Friday, March 1, 2013. This was a Los Angeles release. 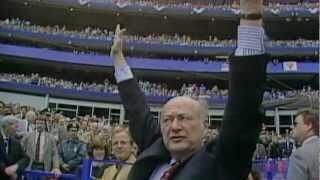 Former Mayor Ed Koch is the quintessential New Yorker. Still ferocious, charismatic, and hilariously blunt, the now 88-year-old Koch ruled New York from 1978 to 1989—a down-and-dirty decade of grit, graffiti, near-bankruptcy and rampant crime. First-time filmmaker (and former Wall Street Journal reporter) Neil Barsky has crafted a revealing portrait of this intensely private man, his legacy as a political titan, and the town he helped transform. 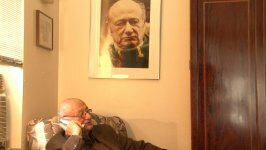 His three terms included a fiercely competitive 1977 election; the burgeoning AIDS epidemic; landmark housing initiatives; and an irreparable municipal corruption scandal. 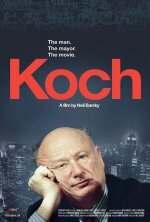 Through candid interviews and rare archival footage, Koch thrillingly chronicles the personal and political toll of running the world’s most wondrous city.